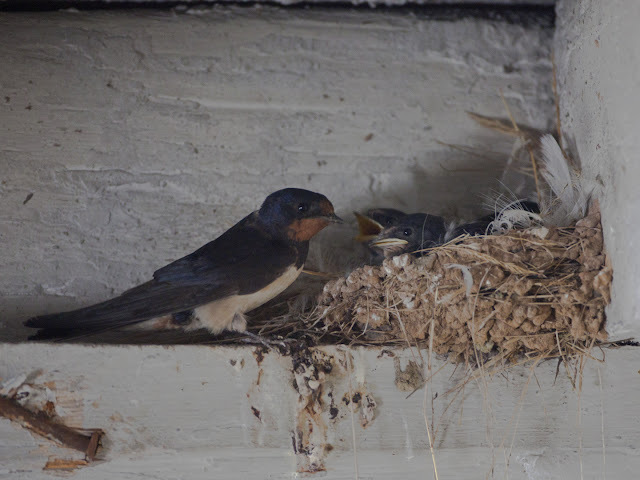 Tucked away in a dark corner amongst the wooden joists holding up the roof of Drizzle Cottage a female Swallow sits on her brood of recently hatched chicks. She looks around nervously as I creep through the damp and dusty space beneath her. Her head darts to and fro keeping a close eye on my movements. She has nothing to fear from me, I’m not here to interfere with her nest I’m just passing through on an errand. She leaves the nest and flies around the small room, making worried sounding shrill chirps, before alighting on a large rusty nail protruding from a joist similar to the one she has attached her muddy cup of a nest to. Next to her hangs a set of ancient chimney brushes, thick with dust, stiff bristles yellowing with age. Attached to the wall directly below the nest an old wooden cupboard decays with the passing of time, it’s door hangs loose, held up by one rusting hinge, the other having rotted off some years ago. My task completed I turn to leave her and her family in peace. As I depart she is still sat on her rusty nail, it must be a regular perch for her and her partner as there is a sizeable pile of droppings accumulating on the stone floor beneath. The chicks are still very young. Tiny, helpless. Unopened eyes bulge behind thin fleshy eyelids. A few whispy, downy feathers protrude from their large bald heads. They look odd, only their mother could love them. 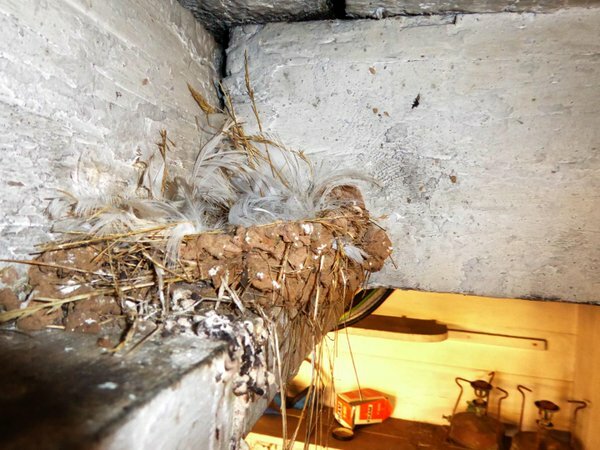 Many perils and wonders await them once they fledge into the world outside this tumbledown cottage. I wish them luck as I close and lock the rickety front door behind me. Through a tiny gap in this old weathered entrance I glimpse the female return to brood the chicks. She still looks around, nervously. It is impossible to tell if this is her first attempt at parenthood or if she is an old hand but for any parent raising young is a hard and scary thing to do. I am finding this out for myself. There has been little activity on this blog for some time. 2015 has been a momentous year. I have been absorbed in the care of our first child. In the middle of April, early one Friday morning, Summer arrived. Not the season - as I write this, looking back on a cool and wet year it seems like summer never did fully appear. No, it is our baby girl that we have called Summer. It seemed the obvious choice, summer is such an explosion of life, joy and excitement - a happy season - and this is all we want for our little girl. It will be tough though. It is easy to be over-awed and worried. I see so much that is wrong in the world, so many threats to our baby’s future. Climate change and the impact that it will have on her world plus the fact that as a species we, like no other, have the ability to plan and take action to mitigate its effects but do nothing. A little action in the short term that will see no immediate benefit for us will make a world of difference for our children. This seems vital to me but beyond contemplation for huge money grabbing corporations and the corrupt governments who serve them. Our own government seems to have been alarmingly successful in persuading a voting public that all public spending is wasteful, unnecessary and ruins our economy while enforcing their own spiteful brand of austerity to “fix” it. It was public monies that were used to bail out a broken banking system, one plagued by greed and recklessness and as this private debt was made public those responsible walked away unscathed leaving us and my daughter’s generation to balance the books. One evening while discussing this great swindle and how this government, aided by a biased gutter press, got away with blaming the whole mess on poor people, a friend of mine questioned the wisdom of bringing children into this crazy, often backwards world. 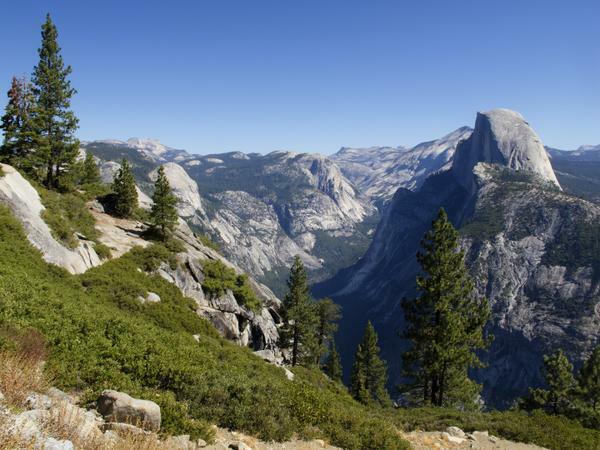 The sun hitting the sheer face of Half Dome as dawn breaks over Yosemite National Park. 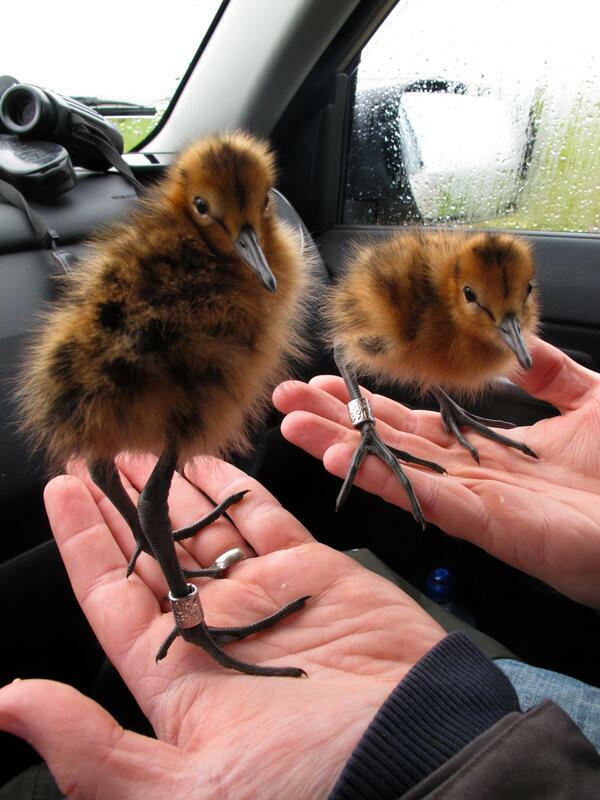 Handling Black-tailed Godwit chicks in the lush meadows of an Icelandic summer. Staring at paintings by old masters in decadent European art galleries. Sharing the shores of my local Patch with thousands of dazzling migratory shorebirds. 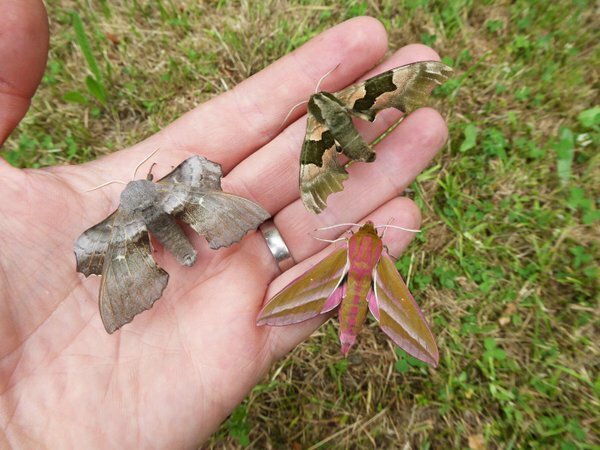 Holding a handful of fantabulous hawkmoths caught from my favourite hedge (yes I do have a favourite hedge and I’m not afraid to say so). With all this to experience, protect and enjoy, it seemed a natural thing to start a family to share it with. I returned to the Swallow nest some time later, once they had fledged. As a new parent I felt concern for those chicks. After a summer of watching them and my own offspring grow I found myself wondering where they were now and hoping that they were doing fine. The empty nest un-nerved me a little. Until now it has all been about me. What I wanted to see, where I wanted to go, in my own time, on my own terms. Travel, hobbies, absorbing culture and creativity were my only concerns. Now it will be about Summer. What she can see, what she can do and where she can go. She is free to be what she chooses; I will not force an obsession with moths or shorebirds upon her. But she will know of them and all of the things that make planet Earth the diverse wondrous place it is. The shift in emphasis for my life is huge and palpable. I think back to that morning in the delivery room. 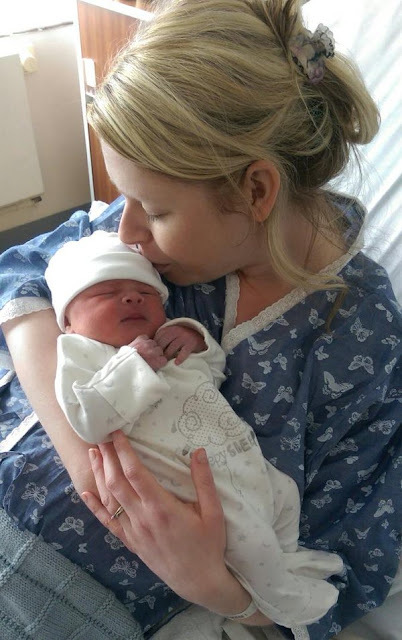 Bewildered by happiness, I see my wife and daughter resting after the exertions of labour and birth, the most breath-taking thing I have ever witnessed. Lois leans over and plants a delicate kiss on Summer’s forehead with the tender love of a new mother. As I stand there watching, about to tell our family that Summer is here, tears burn my cheeks and I realise that everything has just changed… forever.